Ever since I heard about Hye Yeon Nam’s Kiss Controller, I’ve been been super excited to check it out. 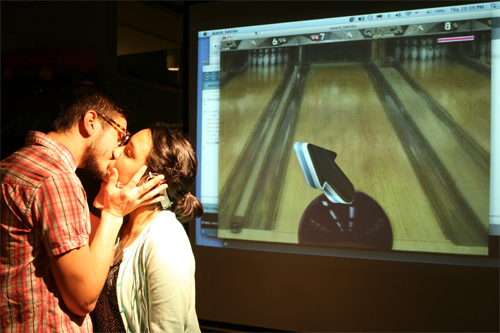 I love the idea of this collision — most of us think of kissing as this very natural, instinctive activity; but once you have the controller attached to your tongue and you’re supposed to be playing a game, suddenly the activity is layered with this new goal that changes the way you approach the kiss itself. And I’m thrilled to say that I’ll be talking about the Kiss Controller tomorrow at IndieCade’s Well-Played session! Nice Jane, be sure to give us all an update on how that goes!